You will not doing justice to your Bangkok trip if you get here and not indulge in one of the many, blissfully rejuvenating Thai therapies! 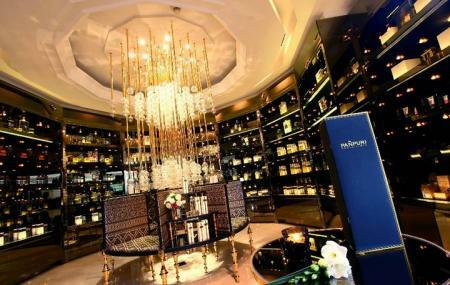 To do so head to the Panpuri Organic Spa set on the Phloen Chit Rd. Bestwoing you with a tranquil experience, not short of a trip to heaven, the elegant spa offers a host of signature treatments including organic packages, signature facials, organic massages, organic body treatments, and organic express treatment. Visit this spa, if you don’t mind indulging in some self love, after all you are worth it! Rest assured, the quality of the products used is extremely high! How popular is Panpuri Organic Spa? People normally club together Rambuttri Village Inn And Plaza and Pooltime Cafe while planning their visit to Panpuri Organic Spa. I and my husband visited here last week and we had such an amazing experience. Everything was just perfect from start to finish. Everything is immaculate, staff are all very friendly and professional. Looking forward to our next visit! One of the best scrub & facial experiences that I had in Thailand. I’ve visited quite lot of spas in Bangkok, but the product is just top notch. And their facilities are quite new - better than old five star hotels in Bangkok. Try their detox day program if you want to try body scrub + facial + oil massage. But their “Onsen” is so-so. If you are Japanese / or Korean, it’s fine to skip it. It's 5 stars all the way for this incredible place and massage service. I don't usually post reviews, but Pañpuri Wellness Bangkok is exceptional and probably is one of the best professional massage places in town. There are both female and male therapists who are very, very good and professional in their skills. The rooms are very clean and have private shower within. You get a drink and cold towel for your welcome, and fruits and nice organic tea at the end. For the service and level of massage, the location and ambience, the prices are reasonable. They even have an Onsen section if you'd like to have a longer stay at the spa or a dip before/after the massage. Highly recommended. Heavenly place! Amazing view from the Onsen during the day. Perfect to relax and let the mind wander. Very skilled therapists, very kind staff assisting in every corner. And really tasty food to complete the amazing experience. I'll come back and will recommend to my friends.